How to prepare better for new pattern AIPGMEE, shares Dr. Sumer Sethi - AcrossPG Exams! Time has changed, AIPGMEE, which was conducted by AIIMS for long is now a NBE responsibility. NBE has made it a CBT based exam with multiple sessions, which means the exam pattern has changed and all the old ‘GOLD STANDARDS’ methods for preparing AIPGMEE are now not so useful. This landed students in dilemma as to how to proceed with preparation in the short span of 7-8 months. We were getting many such queries from our readers so we decided to approach the expert in this field to answer queries of our readers related to this new pattern of exam, which will benefit whole medical student community; Dr. Sumer Sethi, MD Radiology & Director of DAMS Delhi. Dr. Sumer Sethi needs no introduction. Admired by thousands of students as the best teacher and motivator. 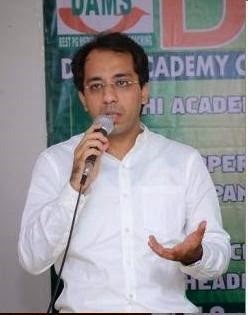 Himself a topper in PG entrance and MD exams, he is a well know mentor in field of PG entrance training and also credited with introduction of many new innovations in coaching and producing All India top rankers year after year. Apart from this, Dr. Sethi is credited with running the oldest Radiology Blogs in India since 2004. He is the only Indian doctor listed in Top 10 Internet Smart Doctors of the World. He has authored Bestseller book of Radiology for PGME - "Review of Radiology". He is also the Director of Telerad-Providers, India's leading Teleradiology service providers. We requested him for a brief interview and he generously accepted and invited AcrossPG team to DAMS head office at Karol Bagh. When we reached his office, he appeared very down to earth and approachable. He offered us some snacks and coffee. With a smile on his face he answered all our questions friendly and energetically. Here is the interview we had with Dr. Sethi. AcrossPG: First of all Thank you sir for giving us your time. I like to start with a little personal question, when did you decide to enter into PG entrance training to guide young doctors? Dr. Sethi: We started DAMS in 1999-2000 as concept of teaching students with experts. What I could see early on was the fact which many people of that era were missing. MCQs are the basis of our career building and they require extra edge preparation. While most people at time considered MCQ coaching at MBBS level as not required, once we started idea was like fire in the jungle. I was myself a topper in AIPG/AIIIMS at my time and was a graduate from MAMC Delhi, and that helped me understand the gap between college studies and topping in PGME. We at that time also started with special orientation programmes on time management and motivation which we continue till date although we have evolved with time and technology. AcrossPG: After a lot of drama with NEET, finally it’s scrapped but it changed the traditional AIPGMEE, what’s your comments and which one among AIPG and NEET you feel would be a better exam? Dr. Sethi: There is nothing like a better exam, it is always upto the authorities to decide the exam pattern and we as students are supposed to prepare for the pattern. Whatever the exam pattern is, it is same for all students. There is one significant change in 2013-14 exams, there are fewer repeats, even in AIIMS May 2014 you cannot find many repeat questions. Few things good about NEET are it being CBT as that improves the credibility of the examination process. I feel CBT is a welcome move. There are many advantages of CBT pattern like able to change the answers and review questions and also it removes the possibility of wrong marking of answer key. It is better once students gets accustomed to the pattern. AcrossPG: Till 2012 books like Mudit Khanna, Ashish Gupta, AAA and other MCQ books were considered as the bible for AIPPG, but with NDA and multiple sessions this concept is dead, How according to you should students proceed with preparation now? Dr. Sethi: MK/AA are guides based out of before 2012 pattern of AIPG which was conducted by AIIMS, now AIIMS is not conducting AIPG anymore. AIPG is conducted by NBE and there are almost nil repeats in the examinations. May questions are straight lift off from text books. We recommend topicwise study now, which would mean : class notes, or subject wise guides or textbooks. Let me clarify, earlier you could get away with knowing just one or two speculative facts as our exam pattern before 2010 was repeat predominant, but not right now, there are multiple sessions, and thousands of new MCQs are being framed, you need to know the entire topic. There are no shortcuts to this pattern of examination. AcrossPG: Sir, there is lot of anxiety among students with IRT? What do you suggest on that? Dr. Sethi: IRT is the marking scheme adopted by prometric in marking the multisession exams, where students appearing for different sets are being compared and ranked using scaling and equating. Equating is the way by which different set performances are equated and scaling means answering a question which majority people were getting wrong will give you more reward and vice versa. This is complex marking scheme and there is no negative marking in this exam. AcrossPG: With CBT in picture and all the exams are adopting it, students are facing new technology. How should one prepare for that? Is DAMS providing a NBE pattern CBT solution? Dr. Sethi: Computer based testing system (CBT) is becoming the standard in entrance exams because it is more efficient and less time consuming than traditional test system. It is important for all students to brace themselves for CBT system before taking the actual exam. With CBT there are also few changes to the type of questions asked like, Visuals are new dimension of this exam, each exam (AIPG & AIIMS both) now has visual question. At DAMS since 2012 we conduct special classes on visual called as DVT (DAMS visual treat). I am more than happy to inform we also provide our Grand Tests in Online format which is very similar to the actual exam and we use scaling routinely and give our students advantage of seeing raw score and scaled scores. Every year we also conduct a country wide Computer Based Test (CBT) as a mock rehearsal and offer practice to students. We are only people who have done this successfully last year. AcrossPG: Talking of technology, PG entrance coaching has also seen great advancements. As a innovator and known for introduction of tech into PG coaching, please throw some light on how students can get maximum advantage of technology? Dr. Sethi: We can’t exclude technology from our lives in present era. Technology has improved many aspects of human kind including our methods of study and even taking exams. Technology is connecting people from far ends together. With the help of technology students can get quality education even in the remote area without leaving the comfort of their home towns. Personally speaking I believe technology in hands of right master can be used to bring quality education to places where they are not available. Last year we started India’s first satellite based classes programme, DAMS SKY based on hi-tech two way videoconferencing and opened 50 plus extra classroom in places like Agartala, Dhule, Belgaum, Jammu where previously classroom facility was not there. We also have a tablet based course called iDAMS to reach remotely placed students. Technology is redefining study methodology every day, I remember one of the toppers of this year attributing part of success to her whatsapp group. New age group study is different from previous years. Even we share some of our lectures on You tube in our channel and students can take benefit of them. AcrossPG: Students hardly get 7-8 months for preparation, what is your advice on time management? Dr. Sethi: That is exactly summarizing the entire problem and actually solution as well. Students need to understand that people who are able to grasp most of things in this time get a better rank. Don’t try to do every guide book available in the market, it will take a lifetime. Prioritize, subjects like medicine, surgery, pathology, pharmacology and PSM contribute majorly to our exams and require extra MCQ practice. Park’s PSM is extremely high yielding in current pattern as is Robins Pathology. Divide your time according to amount of MCQs and your strength-weakness analysis. Making short notes on your weak topics is a good habit, which will help in revision of these topics just before the exams. Mistake that most students do is lack of introspection, they never analyze their subject weaknesses. AcrossPG: Students still have many concerns regarding joining DNB courses, what’s your advice on DNB broad speciality? Dr. Sethi: As per the current rules DNB is considered equivalent to MD for all practical purposes. But there are issues with training programmes in some places and passing rates are always lower than corresponding MD programmes. It all depends on your options as per your ranks and your choice of subject, then we should choose intelligently. AcrossPG: Many students fail to secure PG seat every year due to disproportionate UG:PG ratio, what alternate career options should students consider? Dr. Sethi: Best alternate to PGME is USMLE, although there is a talk that after 2015 with American graduates increasing chances of immigrant matching residency will get competitive and tougher. 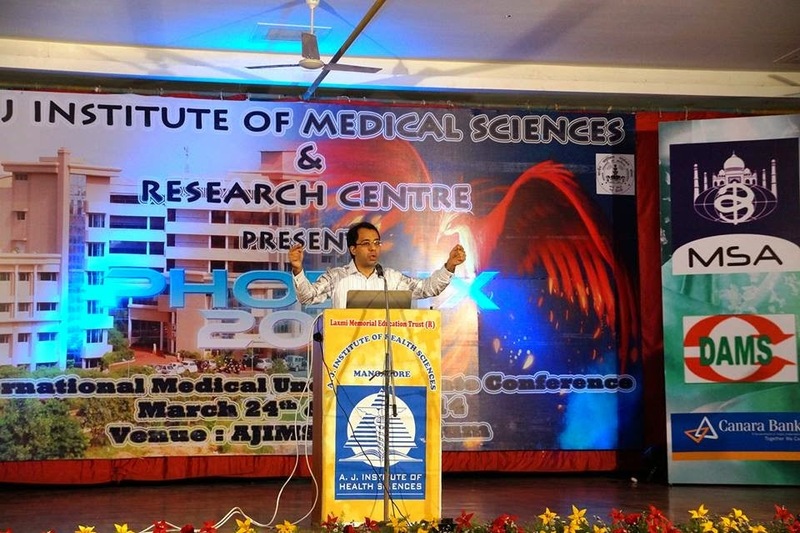 Civil services, hospital management, MBAs have been considered by medical students are alternate options. Recent pattern of civil services also will see an increase in number of Doctors opting for it. AcrossPG: In our survey on coaching classes last year, many students praised DAMS Exclusive club on facebook , how did you come up with this idea? Dr. Sethi: This started in 2011, we wanted to be more in touch with our students across country, one day while chatting with a student on facebook, I just came up with an idea of exclusive club. This club is a group where students and faculty members interact 24 * 7 and learning becomes a continuous process. With dams club on facebook students stay connected with the teachers and thousands of other PG aspirants, which give them a moral boost and also help them in better preparation. Taking this idea forward now we have linked all our students into a cloud based solution where more material can be shared with our students. We at DAMS want to teach more and more, and we are loving the leverage technology is providing us. My love for technology especially the internet based tools forces me experiment on more things, like Blogging, ( Note by the editor: he is credited as the world’s first radiologist to use blogging since 2004) and Telemedicine.